When you buy a new property in Canada, you must pay GST or HST on the purchase. However, purchasers can receive a rebate of some of the GST/HST paid, subject to certain conditions. In simple terms, you must have bought the home to live there, must actually live there, and no one can beat you to it. In Ontario, the value of this Rebate tops out at $24,000. Collectively be the first to occupy it. This creates issues in two contexts: breakups and friends or family assisting with purchases (or some combination of the two). In the first case, a taxpayer and their partner agree to buy a home together. They both buy it in the hopes of moving into the home. However, before they take possession of the home, they break up. It would now be exceptionally awkward for them to occupy the home together. They hammer out some agreement amongst themselves, and only one partner moves into the home. Should the Canada Revenue Agency look into it, the partner moving into the property may be out $24,000! While they both intended to occupy the property, only one in fact did, failing the third condition above. 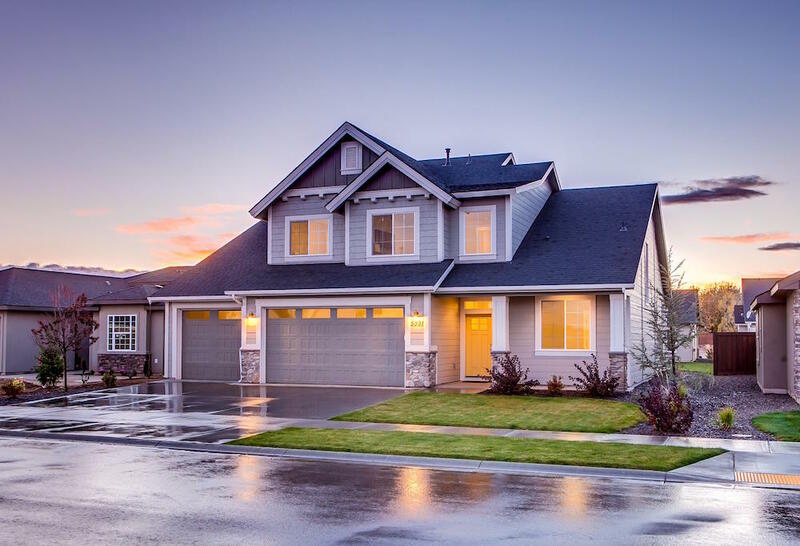 In the second, case, where a family or friend of a home buyer agrees to help them purchase a property and are put on title to assist with the purchaser receiving a mortgage, they may inadvertently disqualify themselves from the rebate. Even though the party joining title only did so in order to assist with mortgage acquisition, the joining party never intended to occupy the home! Combinations of the two may also arise, where a taxpayer’s partner agrees to help them finance the home, not intending to beneficially own it themselves, and they then breakup. For years, some Taxpayers have tried to avoid these consequences using a series of arguments adding up to the claim that, “well, sure, they are on title, but the supply is really to me– I will pick up the tab, and they are only in it to help. It’s my house!” The exact legal jargon varies, but it involves trusts and the law of “equity”. The Tax Court of Canada has frequently granted purchasers the rebate using this argument, but CRA continues to fight against those using these arguments during the audit, or objection stage. Recently, the Federal Court of Appeal has shut the door on this kind of response in the decision under Cheema v R, 2018 FCA 45. Basically, the majority judgment said that you could only stretch the legislation so far; prior decisions were attempts to avoid unfair results. This is not the way that the Courts are supposed to interpret tax rules. Tax law is about what is on the page, and judges have much less room to maneuver and determine a fair result in their own eyes. If you are on the agreement of purchase and sale, you need to intend to move into the home and actually move in. That’s what the statute says, and it is not up to judges to tweak Parliament’s phrasing, says the Federal Court of Appeal. In a sense, the Court’s point is well taken. When reading the prior, more taxpayer-friendly decisions, one does get the sense that the judge is seeking to find a fair result, rather than applying the rules as written. Those decisions always involved some degree of reaching. Even if this decision is deeply unfair in specific cases, and even if the legislation has a tendency to kick heartbroken taxpayers when they are down, it at least provide certainty to the law. The presence of an authoritative ruling on this matter will, if nothing else, limit the money spent by purchasers on legal fees. At the end of the day, the law binds the courts, and in tax cases, those courts cannot eke out ad hoc, results-oriented rulings to help sympathetic litigants. But the law, as written, is unfair. The way the rules are written is intended to prevent double-dipping by highly sophisticated married couples. They should not prevent nephews whose aunts help them get a mortgage, or couples with exceptionally poor timing, from availing themselves of the rebate. We truly hope that Parliament tweaks this legislation, preventing this irrational exception to entitlement for the rebate. Everyday the CRA takes away the GST/HST New Home Housing Rebate from taxpayers who very likely meet the conditions and should be entitled to the rebate. CRA typically states that the taxpayers have not provided enough proof that they live in the property, or intended to live in the property. Where rebates have been assigned to the builder, this creates an amount owing to CRA typically around $25,000. If you find yourself reassessed as a result of one of the above situations, or the CRA deems you are not eligible for the rebate for any other reason, pick up the phone and contact us. We have assisted hundreds of taxpayers prove their eligibility for the GST/HST New Home Housing Rebate. We have won during the audit, objection and even Tax Court stage. We would be happy to discuss your options with you.